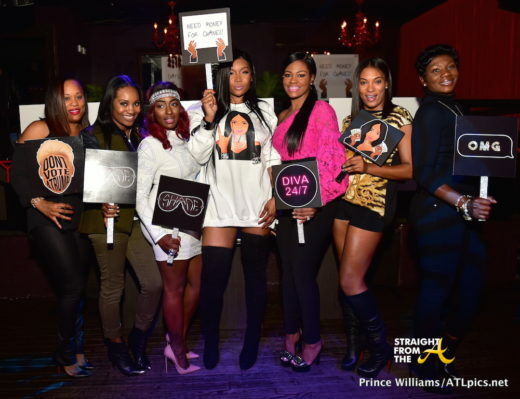 Marlo Hampton, the most fashionable background character ever to appear on The Real Housewives of Atlanta, played host to a launch party for her new ‘Marlomoji’ emoji venture last night (November 7, 2016). 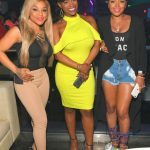 The event was held the Red Martini and attendees included Kandi Burruss (RHOA), Demetria Mckinney, Rasheeda and Kirk Frost (LHHATL) and anyone else seeking a photo op for the evening. 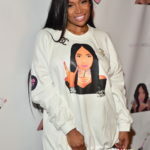 Marlo rocked a custom ‘Marlomoji’ sweatshirt dress paired with Chanel accessories and Louboutin thigh high boots. 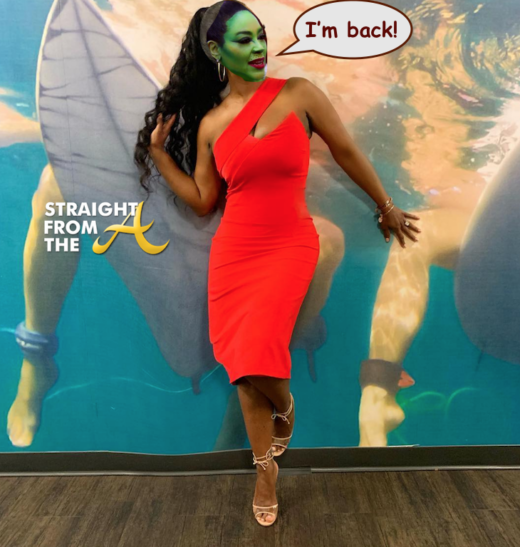 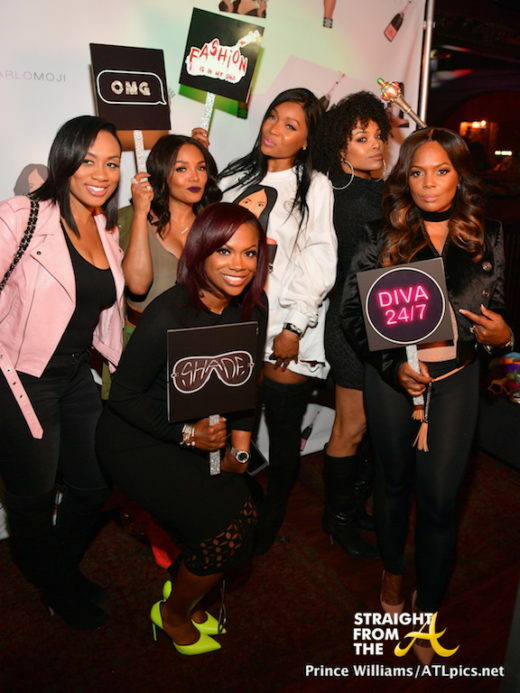 Kandi Burruss labeled herself ‘Naughty’ last night since she was in the club while Todd tended to baby Ace. 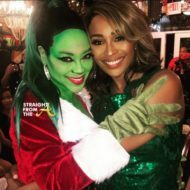 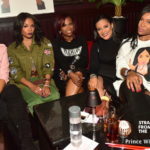 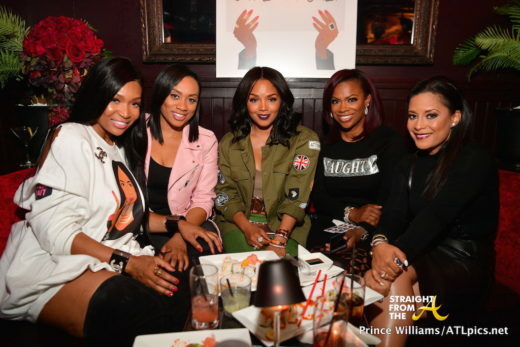 Marlo poses with Carmon Cambrice, Rasheeda, Kandi Burruss & Lisa Nicole-Cloud, who stopped by after leaving the Stars viewing party (click HERE for pics). 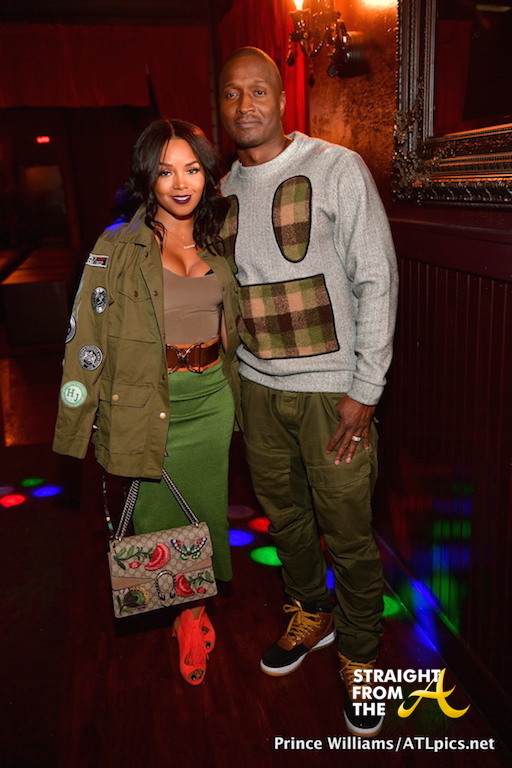 Catherine Brewton (BMI) looks fresh faced and wide awake for the evening’s festivities. 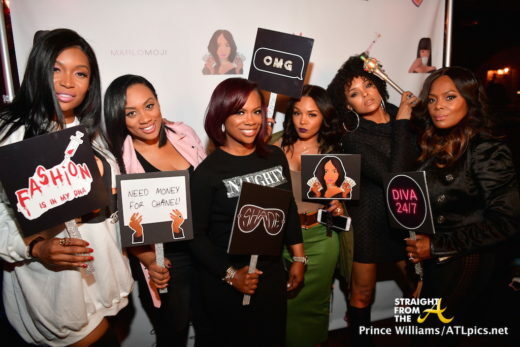 Congrats to Marlo on her new ‘Marlomoji’ venture. 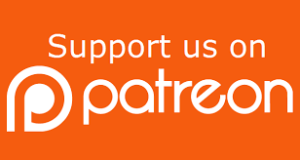 It’s great to see people evolve from boosting to scamming people on the internet.